Compressor expert Atlas Copco has unveiled its latest GA 110-160 range of oil-injected rotary screw compressors with variable speed-drive (VSD) technology for increased productivity and reduced operating costs. According to the company, when coupled with VSD, the new compressors are able to provide up to 35 per cent in energy savings and a reduction in life cycle cost by an average of 22 per cent. The new range also features intelligent control and monitoring systems, the Elektronikon unit controller and the Smartlink technology which allows customers to optimise the compressor operation and further increase savings. "The integration of VSD on the GA 90+-160 range is another great example that our expertise lead to tangible benefits," says Atlas Copco oil-free air division president Chris Lybert. Atlas Copco says the existing GA 90+-160 already features several energy saving features such as the IE3 motor, the variable speed drive (VSD), the no-loss water separator drain, the energy recovery module and the in-build dryers. The integrated dryer concept delivers clean, dry air to improve the process’ reliability and increase energy savings. With the reduced floor space requirement and all inclusive package, Atlas Copco says customers can also save on installation costs. 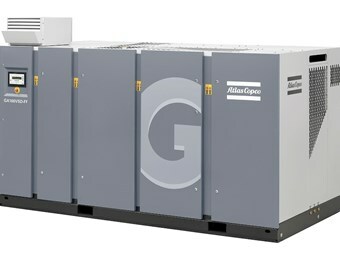 Find Atlas Copco compressors for sale. 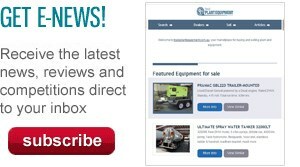 Look up Atlas Copco compressor specifications.